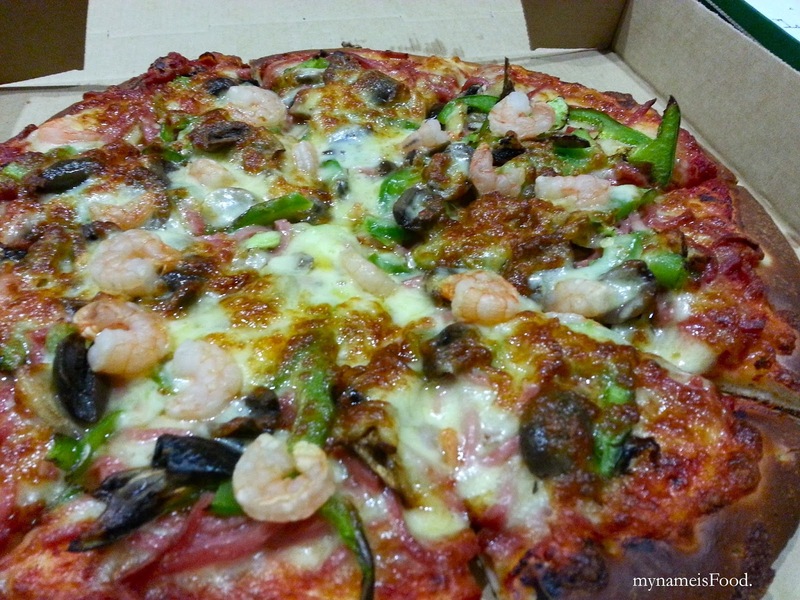 Review of Menulog.com.au + JGs Gourmet Italian Pizza Delivery - my name is Food. One night, we decided to stay home and order some pizzas. At first, I thought of having chinese takeaway but then changed my mind. Basically the way menulog works is that, you choose what cuisines you want or maybe the city you're in or you could even just type in your postcode and they will give you a list of your surrounding restaurants. Then, you simply just browse through the available restaurants, pick the one you want and order the food you want. However, I found that most of the available restaurants were either Pizzas, Chinese, Indian or Thai restaurants.. I am not sure why most of them are in that variety of cuisine, but they seem to be. 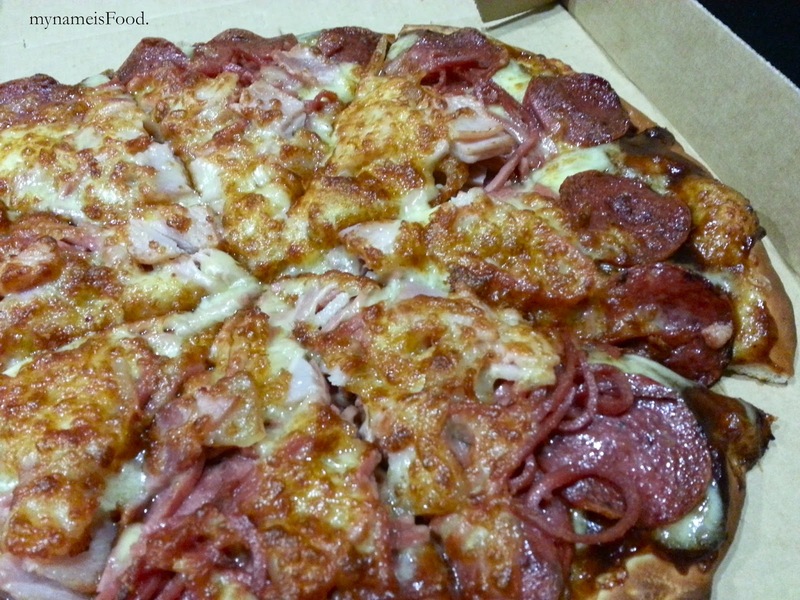 We chose JGs Gourmet Italian Pizzas which I have actually never heard of or came across of. 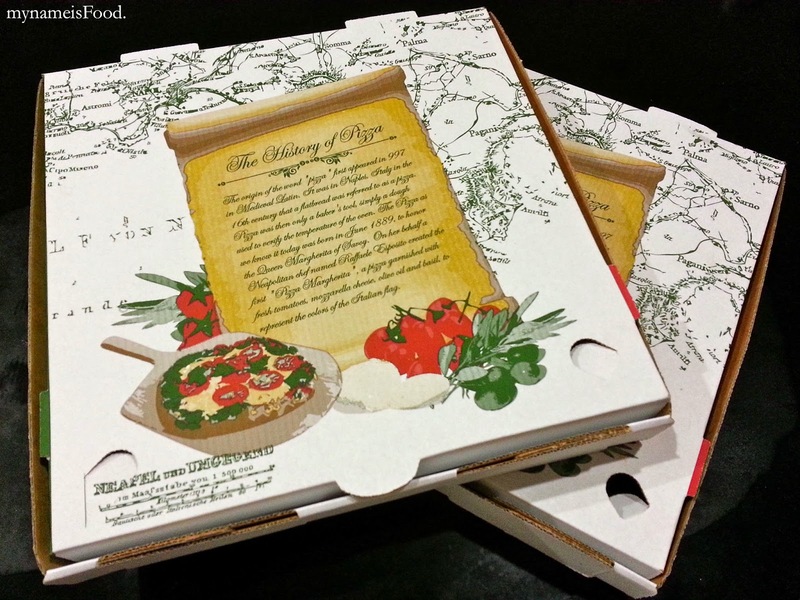 For JGs Gourmet Italian Pizzas, they seem to have 3 sizes for their pizzas so just simply clicking the '+' will add your order to your list. They also have a variety of different mains which will be categorized on the left hand side of the panel as you can see which you can also choose from along with sides and drinks etc. By choosing your preferred dishes, you are able to also customize them if you wish, or add extras but if not, then your order will then be added on to the list and they will give you the total amount or if you have not met the minimum amount, they will tell you and if the restaurants offer any discounts, it will also be written on the 'Your Order' box. There are some restaurants that has minimums for pick up or delivery etc, so do take an extra look out for them, if not, they won't allow you to proceed to the next step. You are able to pay by cash or credit card or even paypal if you want. If you do choose delivery, you will of course fill in the details of your address and contact no. etc. After the order has been placed, you will be able to choose your preferred time for delivery and about ten minutes after, a confirmation sms was sent which was nice to receive knowing that your order has been correctly placed and will be on the way soon, oh, and it also stated the estimated delivery time too. Our order did come about 10 minutes early which we didn't mind. 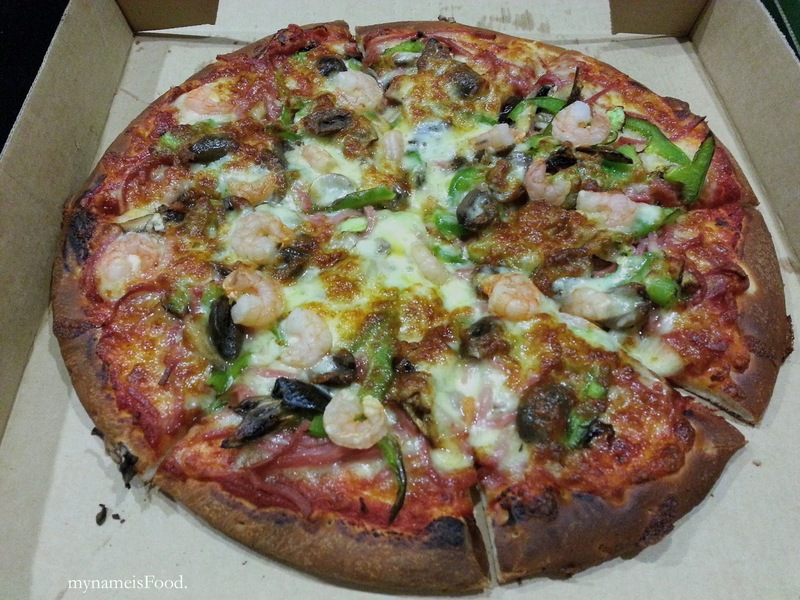 '4 Seasons' (Reg: $8.95, Large:$13.95, Family: $20.95) was a Premium pizza consisting of ham, capsicum, olives, prawn and mushrooms. We found the base to have a nice dough however, some parts seemed to be a bit burnt. The fact that the toppings were generous, we found that due to the sauce, it made the bottom of the base quite soggy which wasn't nice to eat in the end. 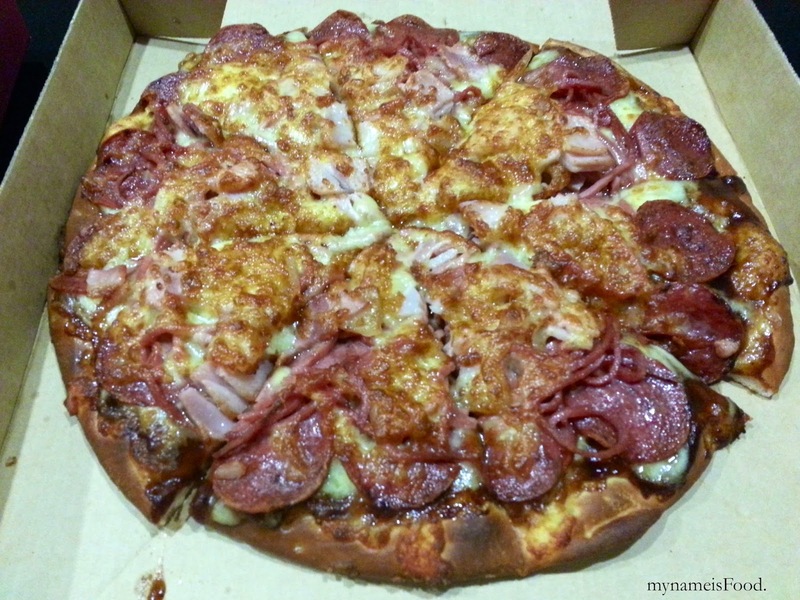 'Too Much Meat' was also a premium pizza that we bought which was basically a double meat lovers consisting of Ham, Pepperoni, Bacon, beef with cheese and bbq sauce. 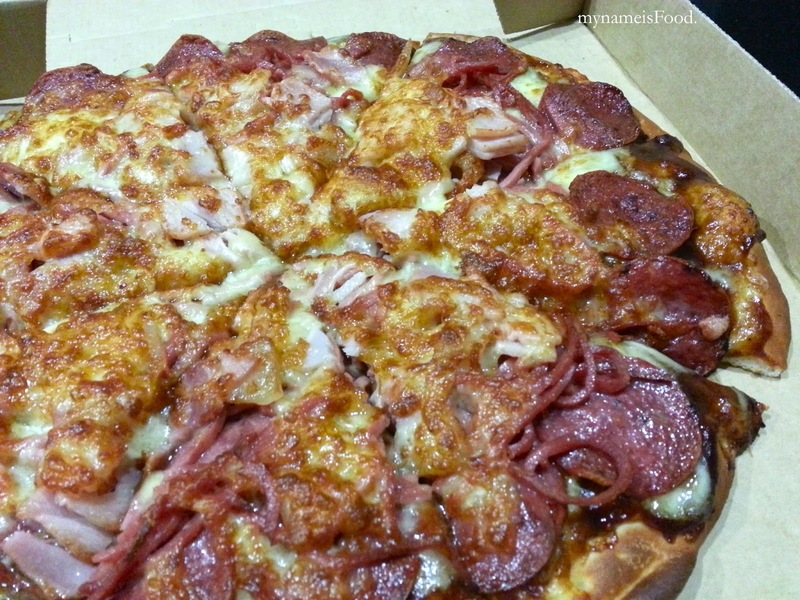 Again, the toppings were quite generous but it lacked the beef and the pepperoni and ham just basically covered the pizzas which didn't seem to be a double meat lovers as stated. 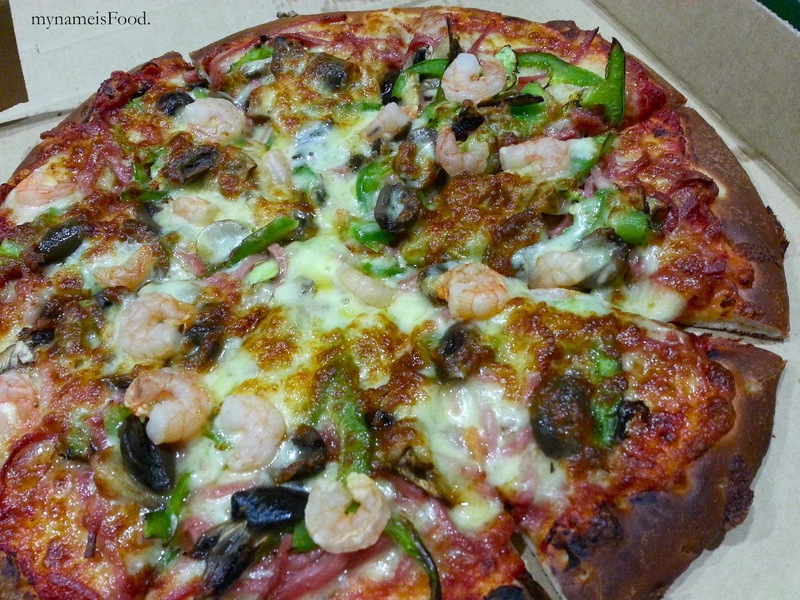 The base became soggy again in the end due to the sauce on the pizzas but again, the dough had that nice moist and also crunch on its crust. Some of the advantages of this website is the fact that you are able to order food online and having it delivered, the clear layout of its order process, the restaurant's menu and prices and the confirmation text. Some restaurants give discounts or free side dish etc. which is also nice to see. However, some of the cons includes the narrow variety of the restaurants, how many restaurants have a minimum amount that you need to meet if you want to order and also the fact that not all restaurants can deliver to your suburb. Don't forget to click menulog to check out their website. * mynameisFood. was given a $30 voucher from Menulog.com.au to order and review.